EXECUTIVE SUMMARY - [...] The results achieved by Evaluation under REACH demonstrate the need to speed-up evaluation and make the process more effective. Suggestions for improvement are included in this report. Registration dossiers do not comply with the information required by law and do not contain sufficient information to ensure a safe use for EU citizens and the environment. This shifts back the burden of proof to authorities and it delays the implementation of risk management measures (restriction, authorisation and classification & labelling). The results also demonstrate the need to improve the interface between Evaluation and follow-up risk management. If a concern is identified, risk management should be initiated without delay. The results obtained under Evaluation after 10 years of REACH demonstrate the need to streamline and simplify the Evaluation process. 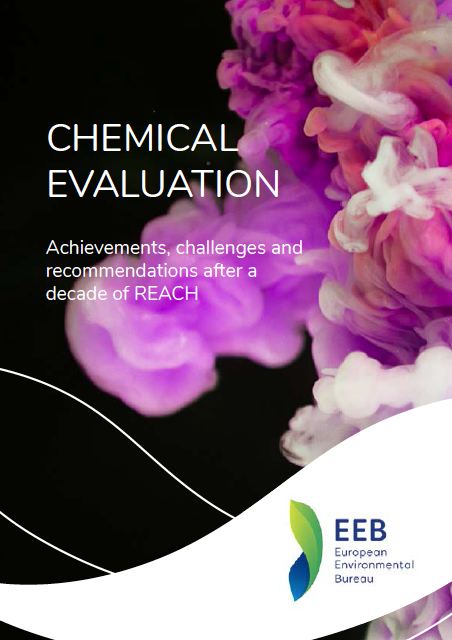 Lin to EEB Report "CHEMICAL EVALUATION Achievements, challenges and recommendations after a decade of REACH"